07/28/08 -Two-time RAAM winner (1996,1999), and "The Million Mile Man", Danny Chew, stopped in from Pittsburg, PA to visit my wife and I for a few days of riding. Pictured here is my lovely wife Kate, Danny, and I before he left for home via Albany, NY. This was part of a 3 week, 3000 mile ride that Danny was embarking on. 07/03/08 -As a final news update for this year's RAAM effort, I thought I would answer a few questions that friends have asked since I returned home. A: It started great, but a series of health issues, from bronchitis and fever to the worst saddle sores I've ever had since starting ultra-distance cycling in 1994, caused problems. Add to that some major mechanical problems with vehicles and it all added up to distractions and time off the bike that, in total, I could not overcome. Any individual problem was probably manageable, but I had lost too much time and was in too much pain to make up that time. Q: Did you go out too fast at the beginning? A: No. While the heat was a factor, I and my crew managed it just fine. They kept me hydrated and cool and, while I was at the front in the first couple of days, I never felt like the pace was taxing me beyond my limits. Q: Are you sorry you did it? A: No. I rode 1300+ miles under pretty challenging conditions. I am proud of that and proud of my crew, who performed magnificently. Of course I wanted to finish strong, but the nature of this sport is that small problems can grow quite large when spread out over thousands of miles. Q: Will you try again? A: Never say never, but it is too soon to answer that right now. I have finished two RAAMs already, so finishing is not necessarily a major goal for me. I've done that. If I do it again, I would like to improve on past finishes, if only for the personal satisfaction that comes with constantly reaching for higher goals. I want to thank everyone who followed the race and sent their good wishes and support. I was truly touched by the comments on this web site and on the Race Blog. 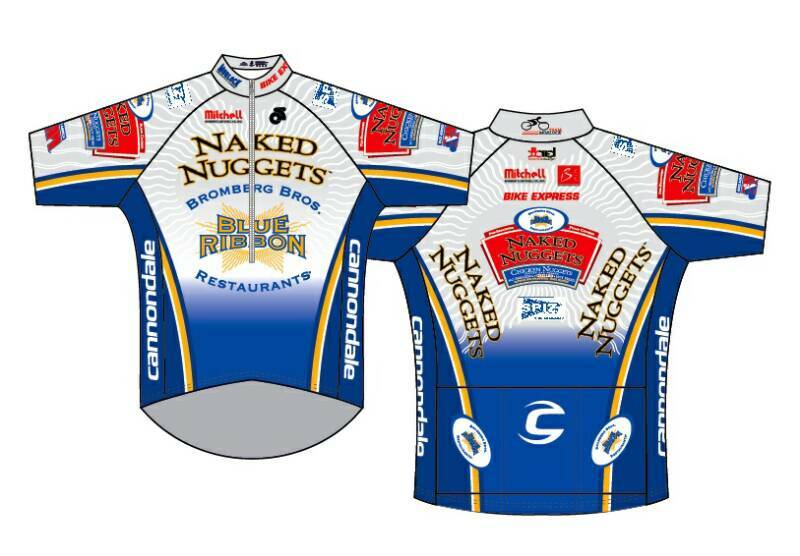 I especially want to thank Eric Bromberg, the owner of Blue Ribbon Restaurants and Naked Nuggets - my title sponsor. Without his unflinching financial and moral support, I would not have had the opportunity to attempt another RAAM. It is the nature of any sport endeavor that nothing is guaranteed and Eric has been 100 percent supportive from beginning to end. RAAM is a strange beast. It simultaneously attracts and repels. No racer who does it is ever the same after finishing. You could say that no person in his right mind would want to attempt it, let alone try again, after going through such an ordeal. Fair point. But while no racer looks forward to the pain, every racer takes pride in having accomplished something that very few people on Earth have ever done. Vince Lombardi said "Winning isn't everything, it’s the only thing." Vince Lombardi never road a bicycle 22 hours a day for multiple days on end. While this year's effort came up short, I do not in any way regret making the attempt. This will be my last news post before starting the race. I am already in California, getting the equipment and vehicles set up and doing some last minute rides to stay loose. I have a great crew, a great sponsor and my training has been right on track. The only thing left to do now is ride. Do I have a goal for this race? Absolutely. I want to finish in one piece, without leaving any part of my body or my soul on the road. Any RAAM rider will tell you that 300+ miles per day is a worthy time and that is what I will be shooting for. Thanks to everyone for their kind words and thoughts in the guest book. Bill has assured me that any comments you post there or on the blog will get back to me during the race, which I can tell you, is a big help in the later stages of the race. 05/21/08 -Race day is coming and things are falling into place. This weekend, we will be having an all-hands team meeting to discuss the race. Among the agenda items is logistics - the sheer amount of stuff we will need to bring and coordinating it all. Most of my nutritional needs will be met with a liquid diet that I have sworn by for more than a decade. It is called Spiz and I am proud once again that they are a sponsor. I drink a bottle an hour, every waking hour, for the entire race. Each bottle has about 500 calories. I supplement this with electrolytes and vitamins, some solid food and, of course, plenty of water. This works out to approximately 11,000-13,000 calories per day. But I have a crew of 10 to feed as well. That means that they will be eating a lot of their meals in cars, out of coolers. The shuttle crew goes grocery shopping every day, making sure that there is enough water for me and enough of whatever the crew wants, including cereal, cold cuts, bread, fruit, caffeine in various forms, candy, whatever they want. No meal is too good for my crew - as long as it can be consumed out of a paper cup in a car traveling 17 miles per hour. In years past, I brought about 60 cassette tapes with me. Since my last RAAM in 2000, the iPod has replaced all of that. I have about 15 days worth of music on my iPods. Much to my crew's chagrin, I will no doubt want to listen to certain albums over and over and over. All of this needs to be kept neat, orderly and in its proper place. As past crews know, I rarely complain about the pain of RAAM, but I can be quite a pain if I see a pair of bike shorts in the wrong storage bin! 05/10-05/11/08 -Training update: With approximately one month to go before the start of the 2008 Race Across AMerica, I completed an overnight training ride on Mother's Day weekend. again on good old US Route 7.
for a grand total of 344 miles. 04/15/08 -Let's talk about the team that will be doing RAAM 2008 with me. "Team?" you say. "I thought cycling was an individual sport." A Tour de France team is nine riders - eight riders in support of one team leader. Driver - Drives the pace van, about 5-10 yards behind me. Navigator - Makes sure I stay on the official route, every inch of which is laid out in extreme detail. The navigator also announces directions (turn left, turn right, etc.) to me over the PA system, handles the music I listen to over the PA and helps the cook/mechanic with hand-offs to me of food, water, medicine, etc. Cook/Mechanic - This person is in the back of the pace van who prepares meals, medicine, drink and anything else I need. The mechanic also makes sure the driver and navigator have food to eat. And, as the title suggest, the cook/mechanic also deals with bike equipment issues, clothing changes, etc, with help from the driver and navigator. The shuttle van is responsible for bringing in a fresh pace van crew, every 12 hours, at the end of each shift. So, for example, at around 6:45 PM each night, the shuttle van finds me and the pace van out on the road. The shuttle van crew talks with the pace van crew via cell phone or two-way radio and makes plans for the transition from day crew to night crew. Usually, the two vans will leave me to ride by myself for a few minutes with fresh water and food and drive up the road a few miles to do the transition. Then, the fresh night crew jumps in the pace van and rejoins me on the bike. Ideally, transition should take no more than 5-10 minutes. Once transition is complete, the shuttle van drives the crew that just got out of the pace van up the road a couple hundred miles, to get a quick bite to eat and find a hotel for the pace crew to sleep. The pace crew sleeps for 5-6 hours, while the shuttle crew does laundry, goes grocery shopping and gets sleep for themselves. Then, after 11.5 hours, it's time to find me again and transition back to the day crew. And so it goes for 9-10 days. Vehicle #3: Motor home - two crew members. This is the first time I will be using a motor home on RAAM. I will use it as a place for the 2-3 hours each night that I sleep. The motor home crew is on call 24/7, but generally, I try to sleep from about 2-5am every day. When I am not in the motor home, that crew is available to provide logistical support to the shuttle crew. -Eric and Bruce Bromberg "Blue Ribbon Restaurants"
-Leigh Sorrells "The Bike Express"
So, as you can see, this is quite a logistical undertaking. In a coming update, I will tell you a bit a more about some of the logistical details, like food, equipment, music, travel and other elements that go into a successful RAAM. 02/15/08 -Training Update: With about four months to go until the start of RAAM 2008, training is on schedule and on plan. The Connecticut winter has so far been very cooperative. We have had no major snow storms and the roads have been relatively clear of snow, ice and sand. Even though the big training miles happen late March through early May, my mindset has already adjusted to thinking in 100 mile increments. Now, 100 miles is sort of the unit of measurement I use to plan rides, and I am now regularly doing 100+ mile rides. By late April, I will be doing 24-hour rides, logging 400-450 miles during that time. We (me and my crew) break up each 24-hour day into two segments - day shift (7:00 a.m. - 7:00 p.m.) and night shift (7:00 p.m. - 7:00 a.m.). A good day shift is 190-220 miles, depending on the terrain. A good night shift is 80-120 miles, again depending on terrain. The night shift, of course, includes a sleep break that can vary from 90 minutes to three hours. So the day shift nets out to an average speed of 15.8 - 18.3 miles per hour, but that has to include any stops for bathroom breaks, equipment and clothing changes, whatever. Remember - a racer in RAAM can stop as much as he wants, but the clock keeps on ticking and every minute he is not moving forward, his average speed is plummeting. The night shift nets out to an average speed of 6.6 - 10 mph. Seems slow, but that is what happens when you stop riding for a couple of hours. Now - add it all up. 320 miles per day (210 per day shift, 110 per night shift) nets out to an approximate finish time of nine and a half days, or an average speed of 13.34 mph. Last year, that would have been good enough for fifth place. Last year's winner averaged 14.38. That's about 340 miles every 24 hours. Scary. Also scary is how much a one mile-per-hour difference in average speed can make when it is spread out over nine days and 3,000 miles. But this is a scary race. It's at least as much about sleep deprivation as it is about bike racing. The winning formula is simple: Maximize time on the bike and ride as fast as possible given the fact that you will be doing it 22 hours a day for 8-10 days. Get only as much rest as necessary. Too much sleep, you lose a couple of places. Too little, you lose your mind. In a future update, we'll talk about early race strategy and how those first 60 hours can make or break the entire race. 01/05/08 -New Year, new clothes! Well not quite yet, but we are on our way to finalizing the design for my training and racing clothing for RAAM 2008. For those of you who are not well-versed in the long and colorful tradition of bicycle racing, a quick lesson: A general rule of thumb for bike clothes is that they be as un-hip as possible, fashion-wise. I mean think about it: where else would you wear skin-tight lycra, emblazoned with multiple corporate logos, in 34 different colors? Having said that, looking at the new uniform from the perspective of a bicycle racer, these are the best looking shorts and jerseys I have ever seen, let alone worn. I will wear them proudly throughout the 2008 season. I would like to thank Wayne Hammond, and his company dobredesign for his all his hard work in designing them. I could not have done it without him. Thanks Wayne!!! 12/15/07 -Registration for RAAM 2008 is in full swing. The race is filling up fast. To date there are over 215 racers signed up to take on the challenge. Check out who has entered thus far: Race Roster. 12/05/07 -General Information: On June 8, 2008, at 12:00pm (PDT), the solo men (my race division) will leave Oceanside, California. This date marks the start of the 27th annual Race Across AMerica. We (the competitors) will climb over 100,000 feet in elevation gain while crossing 14 states. These states include the following: California, Arizona, Utah, Colorado, New Mexico, Oklahoma, Kansas, Missouri, Illinois, Indiana, Ohio, West Virginia, Pennsylvania, and Maryland. Historically, the solo men finish approximately 8-10 days later. This year look for the racers to finish during the week of June 16, 2008. Solo racers begin to finish on Tuesday, June 17 in Annapolis, after racing approximately 3008 miles. For more information click here: Race Route. 11/25/07 -I get a lot questions about this race. Some of them are relatively prosaic: "How do you eat, sleep, and go to the bathroom?" Others are much deeper and philosophical: Why would you do this at all?" Over the next few months, I will post periodic updates that I hope will engage you in the process of training and preparing for this crazy race. In doing so, I hope to answer, in a much more substantive and meaningful way, the latter question of "why"? Eat: Mostly liquid, and mostly while riding the bike. Sleep: 2-3 hours a day, in the back of a van, usually around 3am (of course, that means about 22 hours on the bike and, if all goes well, about 300+ miles every 24 hours). 06/19/07 -My buddy (and Team Morlock member), John Browne and I make our annual trek to the Race Across AMerica Finish line in Altlantic City, NJ. Below are some of the pictures that John and I took. They include current RAAM Champion Jure Robic, and past RAAM Champs: Wolfgang Fasching, Allen Larsen, and Danny Chew. 05/08/07 -I (Rob Morlock) have announced my plans to enter the 2008 Race Across AMerica (RAAM). More news to follow. Go Crazy. 06/25/09 - It has become very much of a tradition for me to go to the RAAM finish when I am not racing in the event myself. 2009 was no exception. My buddy Luis Simbana and I made the trek to Time Station #51 in Mt. Airy, MD. This destination was chosen because TS#51 also doubles as the penalty box where racers serve any penalities that they may have accrued during the race. The plan was to get some photos of the two (2) top riders; Robic and Wyss. We were not disappointed as Jure Robic had to serve one (1) hour in penalties. While Jure was in the penalty box we took a few photos of him and his crew. Driving out into the beautiful Maryland countryside (and later at the finish in Annapolis, MD) we took several shots of the ultimate winner Daniel Wyss of Switzerland. 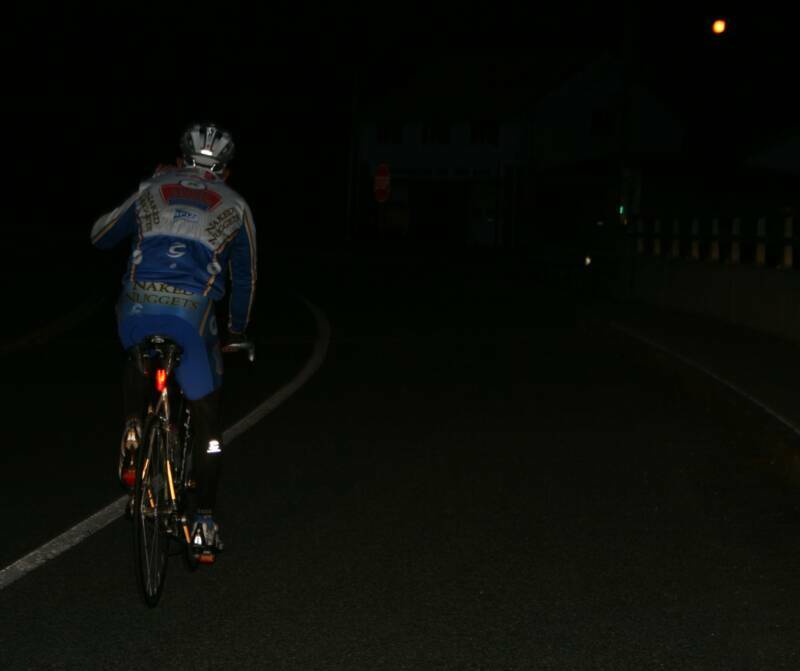 We also came across RAAM favorite Gerhard Gulewicz on the road between TS#50 and 51, and he was looking very strong and motivated. Look for another podium finish from Gulewicz in RAAM 2010. 08/20/08 -Blue Ribbon Restuarants/Naked Nuggets commits for another year of sponsorship. 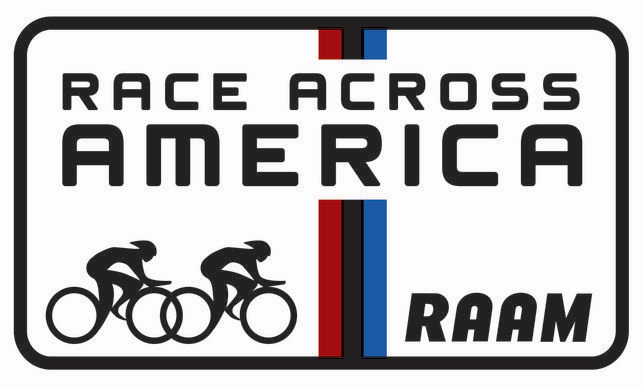 I have decided to compete in the 2010 edition of the Race Across AMerica. This will my 5th attempt at the RAAM...Go Crazy, Thanks Blue Ribbon!!! 09/15/08 -World premiere of the Naked Nuggets promo film which highlighted the 2008 RAAM. The short nine (9) minute clip was directed by Ben Starkman. Click on the YouTube link below and check it out. 06/17/09 -The 28th annual Race Across AMerica begins today in beautiful sunny Oceanside, CA. This year promises to be an exciting race as many of the top riders in the ultra cycling community will be lined up at the starting line. These top guns include defending champ, and 4 time RAAM champion Jure Robic. The rest of the challengers include Daniel Wyss, Gerhard Gulewicz, Marko Baloh, Christoph Strasser, and Julian Sanz Garcia. on this very informative comprehensive website. Enjoy. My mom was my biggest supporter, but made sure I kept things in perspective. In the old days, when I was living at home, I would tell her that I was going out for a 12 hour training ride and she would say, nonchalantly: "OK Robbie, I'll pick up a nice piece of fish at the store and have dinner waiting for you when you get home." She was the best mother and friend, and will be truly missed. 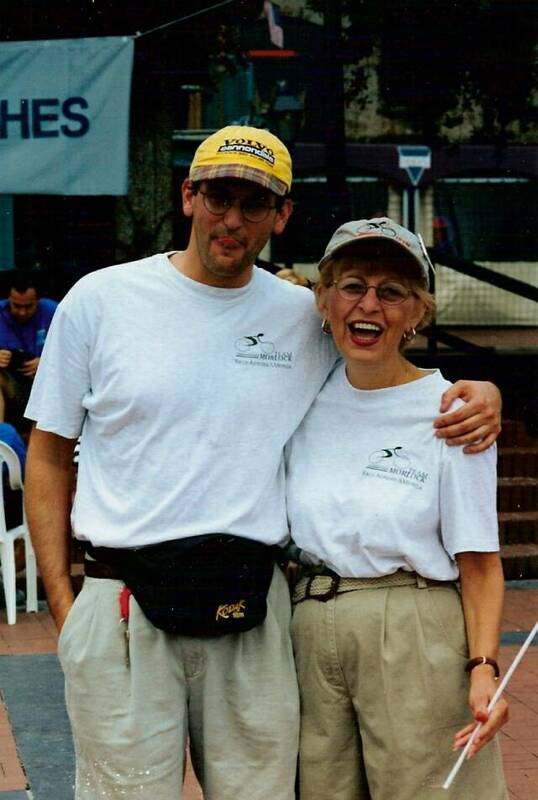 I am dedicating the 2010 Race Across AMerica to her memory. 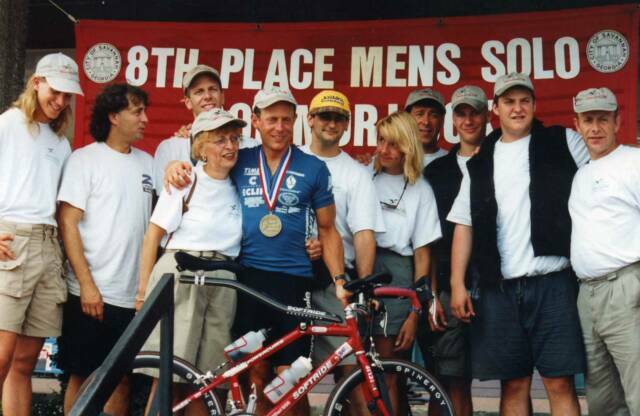 Photos taken at the finish of the 1996 RAAM in Savannah, GA (below with team, and with her buddy, and mine, Bill Baker). 12/28/09 - Team Morlock enters the social networking age thanks to computer guru Bill Baker. Click on the twitter or facebook icons below and follow the team and I between now, and the June 9th RAAM start. Also, check out the Team Morlock/RAAM 2010 Blog.